Do you realize how very close we are to two spectacular mountain ranges? 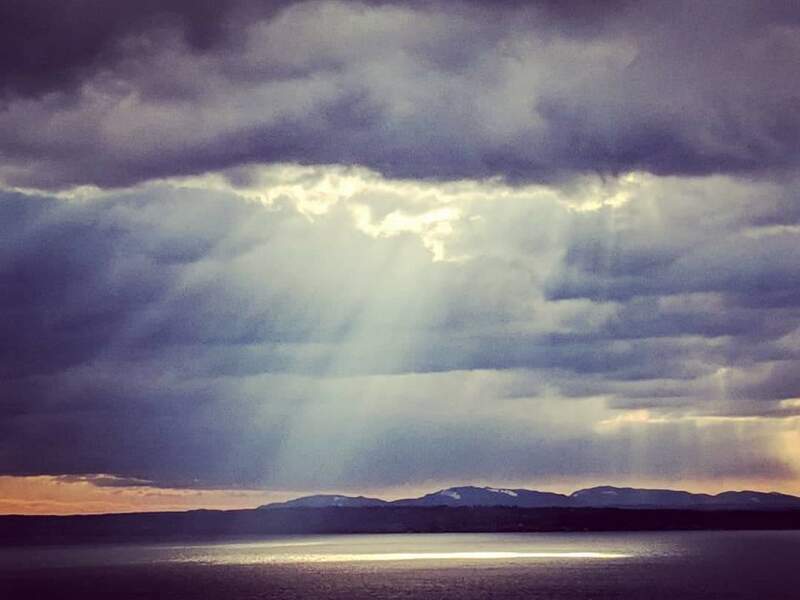 We are surrounded by beauty, even if we can't always see it through the grey clouds! 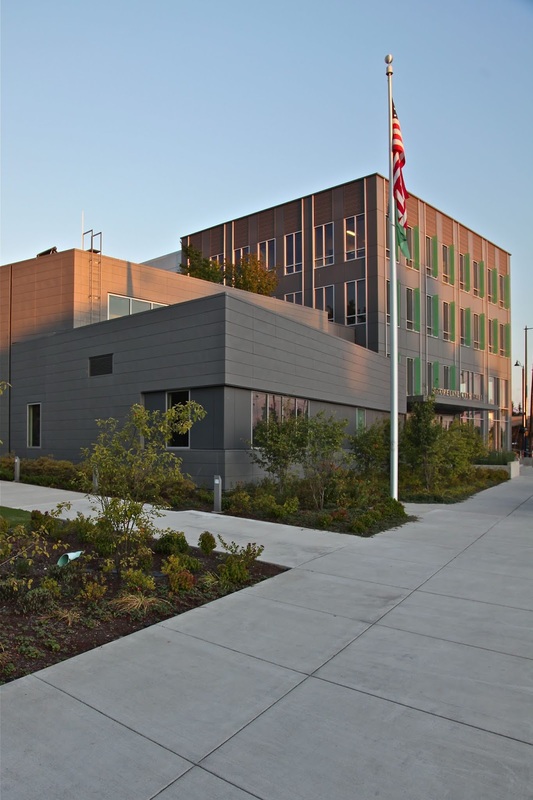 The March 4, 2019 Shoreline City Council Meeting will be preceded by a City Council Special Workshop Dinner Meeting with the Planning Commission. They will be discussing Planning and Community Development, permit activity, planning projects and work plan projects. Sound Transit Lynnwood Link Extension Project Update.. Council will the hear from Sound Transit staff on the construction phase of the light rail project and ask questions for better understanding of both the design and construction of light rail in Shoreline. Construction is scheduled to begin in late March 2019. In approaching "getting through my email," I initially would leave reading these daily bulletins until last... if I had time. Now I notice that I save them until last, to provide a dessert-like incentive to clean out my Inbox. Thank you for your ongoing dedication to this Community-Building Service! Running for office can be a daunting, even intimidating process. How long can I have campaign signs up? What are the public disclosure requirements? Fortunately, we make it easy to run for office in King County. 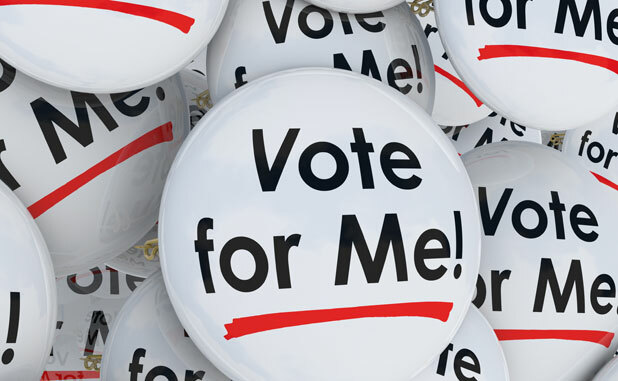 First, everything you need to know is on our Running for Office page online. Second, you can actually file your candidacy online and avoid a trip to our office. But to get answers to some of your most pressing questions, come talk to the experts at any of the free workshops about running for office. There is an upcoming workshops in Shoreline. Remember to RSVP! 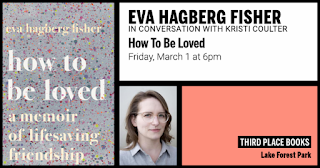 Wednesday, March 13, 6:30 – 8:30 p.m. If you have any questions about candidate filing or workshops, give us a call at (206) 296-1565. 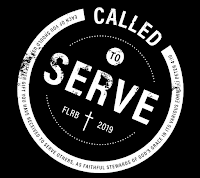 On Sunday, March 24, from 9:30am to 12:30pm, First Lutheran Church of Richmond Beach (18354 8th Ave NW, Shoreline 98177), will host over a dozen organizations and the opportunities they provide for service in the community. The organizations include Hopelink, Earth Ministry, Open Door Ministry, Faith Action Network, Camp Lutherwood, Edmonds Senior Center, Compass Center, Backpacks for Kids, Ronald Methodist Dinners, Knit Wits, Care Teams and more. The community is invited to the fair (9:30-12:30) and to hear guest preacher, Pastor Mark Knutson, from Augustana Lutheran Church in Portland speak at the 8:30 and 11:00 services. Home improvement season is coming! Do you have a home improvement project in mind, but need some guidance to get started? Is it a house remodel or addition; subdivision of property; or a driveway, drainage, deck, sewer, or a tree project? Our workshops can help you take the next steps. Technical reviewers will be available by appointment to help with questions regarding your house, property, land uses, and street as well as City requirements and permit information. Make an appointment with a technical reviewer HERE. In addition to appointments with technical reviewers, there will also be a vendor fair of building, design, and construction related resources. These vendors will include architects, contractors, lending institutions, materials suppliers, and other design consultants. You do not need an appointment to come in and talk with any of these vendors, so feel free to stop by between 6:00 and 8:00pm. Questions? Contact Permit Services Manager Jarrod Lewis at (206) 801-2521 or jlewis@shorelinewa.gov. 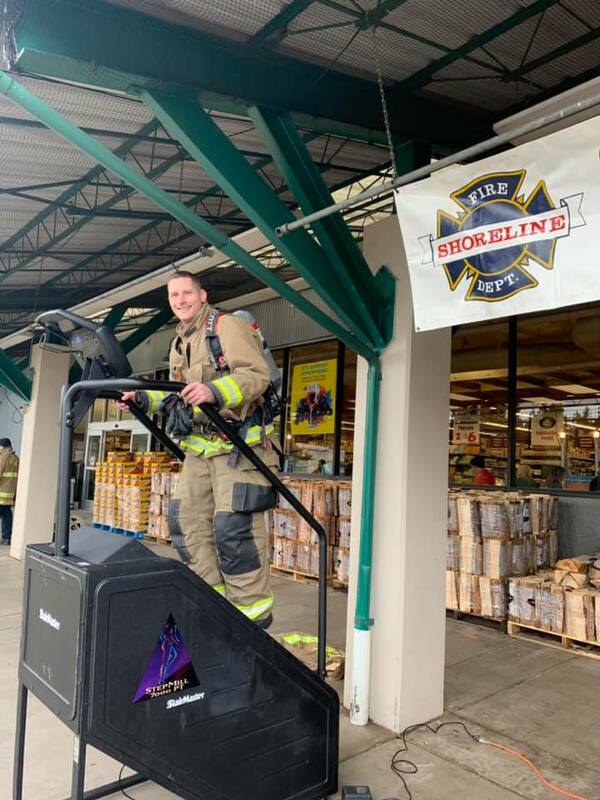 Shoreline Firefighters collected over $2500 at their fundraising event at Central Market this past weekend. Thanks for supporting our Leukemia Lymphoma fundraiser at Central Market this past weekend! You donated just over $2500.00. Wow! Thanks so much! The money is for the Leukemia and Lymphoma association. The Shoreline Firefighter team will participate in the Columbia Tower stairclimb on March 10, 2019. Along with teams from around the U.S. and the world, they will climb the 60 story staircase in full gear. @Meridian Park Elementary PTSA, @Shoreline-Lake Forest Park Arts Council, and @4Culture are proud to partner for this production, which features @JHP Cultural & Diversity Legacy Drum Band as a part of our musical accompaniment. Open enrollment for kindergarten registration has been extended to March 7 for Shoreline Public Schools due to the inclement weather and snow closures that occurred earlier this month. Students registered by March 7 will be put in a drawing on March 19 to fill kindergarten spaces available at their neighborhood schools. Those registering after March 7 will be added to the waitlist as they register. All registered kindergarten students will have a guaranteed space in their neighborhood school or an overflow kindergarten site regardless of when they register. Click here to learn about the school district’s most frequently asked kindergarten questions. For more information on Kindergarten registration, please contact Trinitee Swan at 206.393.4365 or trinitee.swan@shorelineschools.org. The Shoreline Hi Cap Parent Association, in partnership with the Shoreline PTA Council, is excited to welcome back Austina De Bonte, president of the Northwest Gifted Child Association (NWGCA), to Shoreline for her presentation, "What Parents and Educators Need to Know About Smart Kids." This is an opportunity to learn about the social/emotional concerns that impact our advanced learners: what's normal, what to expect as they grow, and why genuine challenge is vitally important to their learning, as well as the development of their academic talents --- from the preschool and elementary years all the way to high school and beyond. This is a free speaker event for parents and for anyone who supports our students. Calling all Shoreline School District retirees! You are invited to attend a special Shoreline Schools Retiree Appreciation Reception on Thursday, March 21 from 10-11 a.m. at the Shoreline Center Boardroom, 18560 1st Ave NE. Attendees will enjoy cookies, coffee and a Shoreline Schools update from Superintendent Rebecca Miner as part of Washington School Retirees Appreciation Week, which is March 18-24, 2019. No need to RSVP, but if you have questions, please contact Curtis Campbell at curtis.campbell@shorelineschools.org or 206-393-4412. Deputy Mayor McConnell was excused for personal reasons. Council will hold its annual Strategic Planning Workshop on March 1st - 2nd. Councilmember McGlashan thanked the City roads crew of 8 plus about 20 volunteers that worked tirelessly during the recent snowstorm, clearing streets around the clock trying to keep ahead of the snowfall. Now that the snow is mostly gone, the parks crew is clearing parks of twigs, branches and fallen trees. Residents are encouraged to report any fallen trees, especially if they are blocking pathways, to the parks department. Mayor Hall met with about 10 of our legislators in Olympia to talk about Shoreline’s legislative agenda, and the City Manager and Mayor will be traveling to Washington DC to try to obtain additional funding for our transportation projects and our other Shoreline priorities. Public Comment. There were 16 speakers. 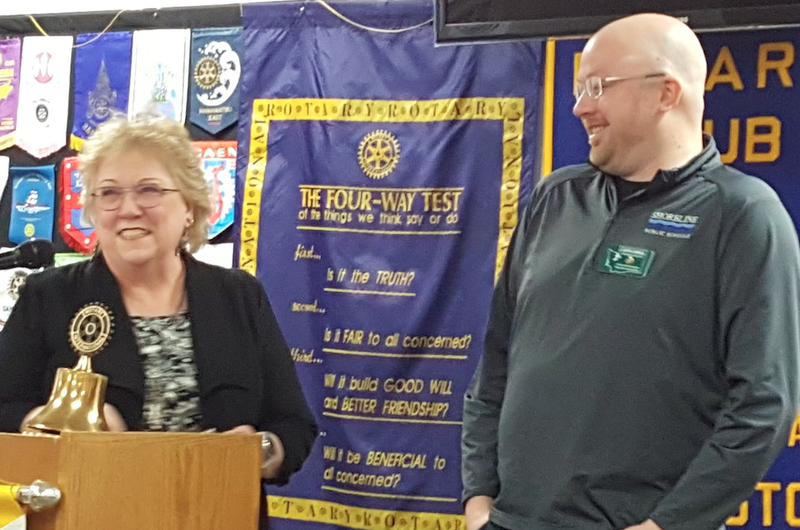 Homelessness: Lisa Surowiec representing NUHSA, Colin D. Crook, Lois Harrison and Sara Betne spoke about homelessness and addiction issues in the city and schools of Shoreline. Council was thanked for its continuing work on these issues. More emergency shelters are needed for snow events and very cold weather. Judy-Bea Wilson would like Shoreline to provide a safe place to park for those people living in their cars or RVs. Pool: James Mitchell (student) asked Council to consider changes to the planned pool. 8 lanes of adequate depth, a diving tower, and a large viewing section are needed. Dan O’Shea proposes use of a revenue bond in addition to a general obligation bond. Lyn Sherry and Betsy Rand are members of the steering committee of FAST (Friends of Aquatics and Swim Team) and added the old pool should not be closed until the new one is ready to open. We need the best pool at the best facility. Irons Brothers rezone: Allison Sakownthong representing the Save Shoreline Neighborhoods, Mark Rettmann, and Justin Sakownthong spoke against the Comprehensive Plan Amendment and Rezone of 1510 and 1517 NE 170th St in Shoreline. The rezone would change the two parcels to Community Business. They want to keep the neighborhood zoned residential. Melissa Irons talked in favor of the rezone. Irons Brothers' intent is not to encroach on their residential neighbors, but to move the zoning border from the west side of their property to the east side. Senior Center: Heidi Mair stated the importance of keeping yoga included in the Senior Center activities. She currently teaches at the center and pointed out the health benefits of yoga for people over 60. Judy Burstin cited exercise, friendship, and hot meals as reasons for the new Community and Aquatics Center to be as comprehensive as possible. Jim Wigfall CEO of Sound Generations stated that increasing the cost of the bond to add 6,000sf of dedicated space for Senior Services, including a commercial kitchen, at the new Center will be approximately $17/year per household. He asks Council to let the voters decide. Karen Nowitzki has not only made friends at the Senior Center but more importantly had help in recovering from her stroke. She supports the creation of a Senior Center that will cover all the needs of the elderly. The Agenda and the Consent Calendar were approved unanimously without further discussion. This presentation, including questions from Council, ran about 60 minutes. The detailed Sound Transit Update can be viewed online as part of the meeting agenda. 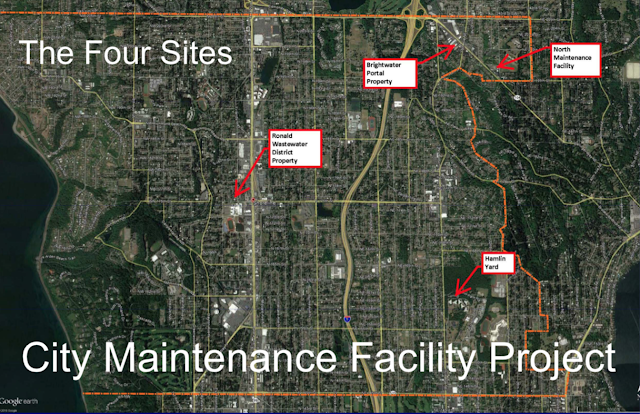 ST talked about Provisional Stations - these are unfunded stations that will be studied for environmental impact. That way, when it comes time for ST to decide whether or not to add them, they will be equipped with the necessary information to make a decision. There was a discussion of the use of traffic roundabouts. They are used to slow traffic for safety, are less expensive to maintain than a signaled intersection, and keep traffic flowing instead of stopped at a light. Concerns that came up during the Council discussion included the size of the footprint required for a multi lane roundabout, the ability to handle rush hour traffic if BAT lanes are shortened, and the probability that an inadequate number of lanes in a roundabout will back up traffic just the same as a signaled intersection will. How are we going to keep the buses moving? The E-line on Aurora is not rapid anymore. There are too many stops. A transit lane that offered 100% transit signal priority should be looked at. With or without a roundabout. ST does not plan to build sidewalks except where they put in BAT lanes, but most of the current sidewalks cannot be used by people with mobility problems. The option for converting outside lanes to bus-only lanes is no longer being considered. This research and analysis with service providers will be used to identify what services exist, and to identify gaps in those services. Services that exist include multifamily tax exemption and inclusionary zoning, as well as Ronald Commons and 98th Affordable housing project (both with on-site services). Homelessness and opioid addiction are regional issues so the County is working on strategies. Identified gaps: permanent housing, homelessness prevention funds, emergency shelter beds, daytime gathering place (for showers and laundry as well as contact with outreach services), transportation, opioid treatment services, opioid use prevention and education (“just say no” does not work), partnership building/engagement in the private sector, youth shelter and services. Shoreline helps fund the emergency weather shelter with Lake City Partners for winter, however there are only 30 beds. Council is appreciative of the hard work that went into this analysis. The City cannot afford afford to do everything on the list. The next step is determining where to start. One suggestion to increase housing availability is the use of ADU and cottage homes. This would not require a lot of money from the City, but they could facilitate the process. One caveat: increased housing does not drive down the cost of rent. Rents are market driven. 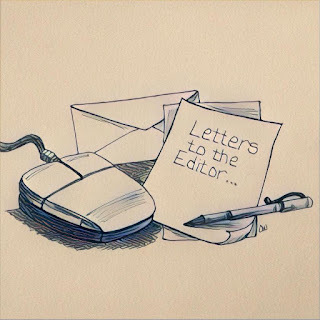 Some type of subsidy is necessary for someone currently experiencing homelessness. Safe lots for RVs and cars with the City providing sanitation services and help with permitting was also suggested. City funds that go to Hopelink are instrumental in keeping people in their homes so they don’t become part of the homeless population. In the long run, it costs less to keep people in their home than to find them new housing. The Council would like to keep this moving forward. Council requested Staff provide status updates every 6 months. This will allow the person who replaces Rob Beem, who is retiring, to have some time to get up to speed. This study item involved City Staff and the entire Shoreline senior serving community to highlight the City’s strengths as well as identify gaps. The objective is to serve the full spectrum of Aging Adult Recreation Needs, recognizing that needs go far beyond recreation alone. Shoreline is among the communities with the highest percentage of population over 65. The span of services for this age group is expanding as the baby boomers reach retirement. Shoreline is a great place to grow up and we need it to be a great place to grow old. Goals include maintaining continuity of services, enhancing public spaces, engaging ethnic and culturally specific communities as well as aging men, sustaining meal programs, providing respite care for caregivers, and developing a closer relationship between the senior center and the City. Council suggestions included coordination between different entities to provide complementary instead of competitive programming. The Mayor praised the efforts of Rob Beem for his contribution to the City over the last several years and wished him well in his retirement. What can you do if you see someone being harassed? Presented by Aisha Hauser, MSW, Director of Lifelong Learning at East Shore Unitarian Church. Aisha received a Master of Social Work degree from Hunter College and combines social justice work with religious education. RSVP is helpful, but not required. We hope to offer childcare. If childcare is a need for you, please contact Suni Tolton, Diversity and Inclusion Coordinator stolton@shorelinewa.gov or 206-801-2256. The City of Shoreline is committed to ensuring a welcoming, inclusive, and safe community for all. 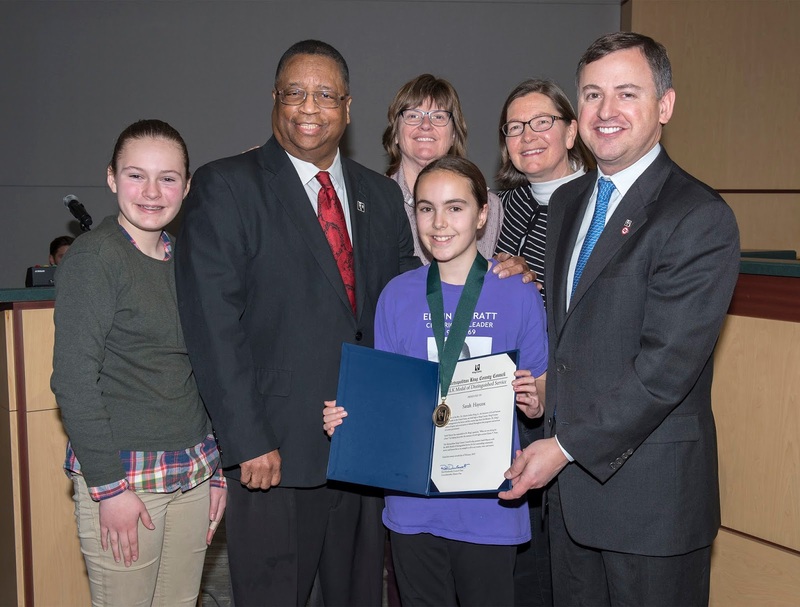 Metropolitan King County Council Chair Rod Dembowski and Councilmember Larry Gossett with Martin Luther King, Jr. Medal of Distinguished Service recipient Sarah Haycox and her family. To Shoreline resident Sarah Haycox, civil rights activist Edwin T. Pratt is more than a tragic footnote in the city of Shoreline’s past; he is living history. Sarah’s efforts to honor the life of the former director of the Seattle Urban League was recognized today by the Metropolitan King County Council when Haycox received the Martin Luther King, Jr. Medal of Distinguished Service. The 11-year old Haycox is the youngest recipient of the award. Mr. Pratt invested his life in justice and economic parity for all, and was instrumental in the efforts to desegregate schools and fight housing discrimination in the Seattle area. His family was the first black family to move into his Shoreline neighborhood. Pratt also supported workforce development and education programs through advocacy. In 1969, he was assassinated on the steps of his home; no one has been prosecuted for his death. Ms. Haycox learned about Edwin T. Pratt after noticing a small plaque dedicated to him at Shoreline Park, and researching his history at the Shoreline Historical Museum. 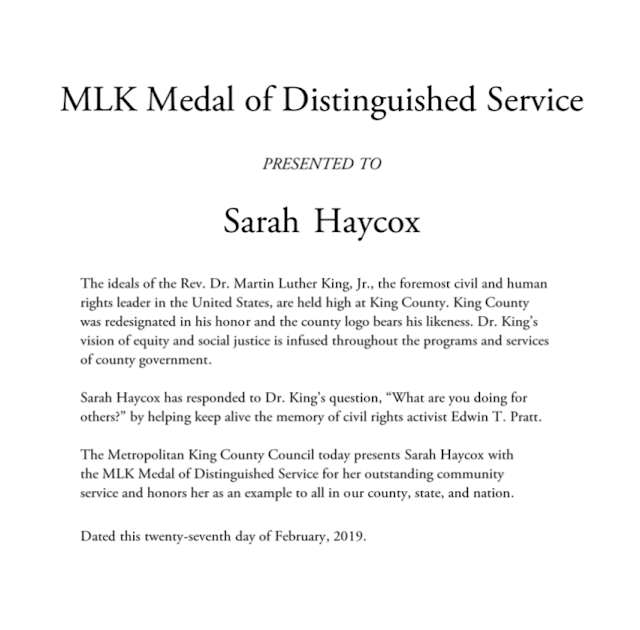 Seeing his impact not only in Shoreline, but in all of King County, Sarah started working to establish greater recognition for his life and accomplishments. Efforts that started with a successful petition to have the Shoreline School District name a building in Pratt’s honor, continue today, with Sarah helping Pratt’s family travel to Seattle recently to attend the dedication of the Edwin T. Pratt Early Learning Center, and raising funds to commission a local artist of color to create a mural for the new building, ensuring that generations to come will know the life and legacy of Edwin T. Pratt. 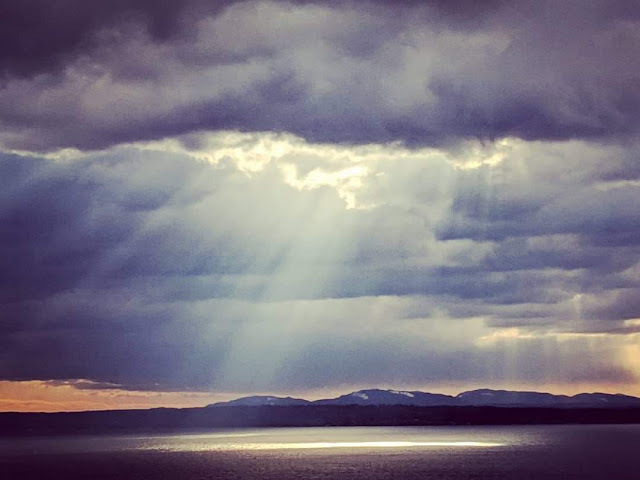 As the rain clouds rolled in and the sun was setting, a rift in the clouds allowed sunlight to send rays down to the waters of Puget Sound off the coast of Shoreline. Calling all crafters, fiber artists, and people with big hearts. We invite you to come to Third Place Commons in Lake Forest Park this Saturday, March 2, from 10am to 1pm to help make welcome mats which will be donated to the International Rescue Committee to be distributed to new refugee families in the Greater Seattle area. We take gently used fabric, usually unused yardage, or top sheets, duvet covers, or tablecloths, and create 'yarn' by cutting it into strips (we'll show you how). Then crochet or knit it into a 'rag rug' (we have patterns or can demonstrate) which gets tagged with a title and the first name of the maker and delivered to the IRC. We have supplies, including fabric, yarn, and crochet hooks. Weavers and latch-hook rug makers are invited to participate as well. 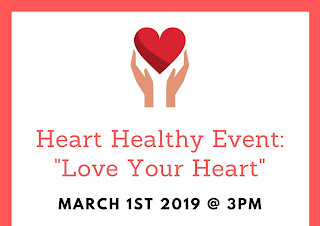 Third Place Commons, Saturday, March 2, 2019, 10am to 1pm. We have a rare opportunity to make Shoreline both a good place to grow up and grow older by adding dedicated senior programming space within a new multi-generational community center. Ability to tap numerous partnerships that the senior center and Sound Generations brings to the table, for example Bastyr naturopathic clinic, connection to underserved communities, Meals on Wheels, Power of One, to name a few. I don’t see a long term future for the senior center at the current facility. It is only a matter of time when the school district will decide to either redevelop the property or sell it. Land and construction costs will only get more expensive, so the council needs to let the citizens of Shoreline decide if fully serving 1/5 of the community is worth the additional long term investment of dedicated space at the proposed community center. 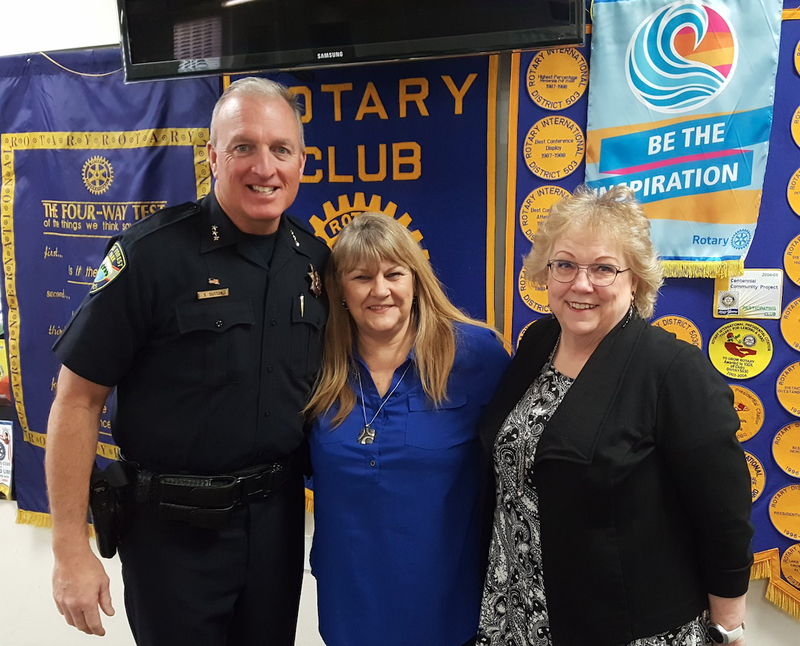 LFP Police Chief Steve Sutton and LFP Rotary President Kae Peterson pose with speaker Theresa LaCroix, Shoreline-LFP Senior Center Assistant Director. Theresa gave a presentation at the February 20th meeting of the Rotary Club of Lake Forest Park about the extensive activities, classes, and entertainment at the Senior Center, rich in variety and opportunity. Check out the Shoreline - Lake Forest Park Senior Center HERE or stop by at 185th and 1st NE (southernmost building on the Shoreline Center campus) between 8:30am and 4:30pm Monday through Friday. Kae Peterson presented Curtis Campbell of Shoreline Public Schools with an award for outstanding service to the school district and community during our recent Snowmageddon. Temporary position with an anticipated term of 3 months. Working under the direction of the City Engineer, this temporary full-time position is responsible for researching and applying engineering principles for planning, designing, constructing, and maintaining public works infrastructure (street, water, sewer, and stormwater improvements). This position assists the City’s Civil Engineers, Construction Inspectors, and Stormwater Program Manager. These efforts include the preparation of engineering designs and plans, construction field inspection, and construction as-builts. In addition, this position develops and updates City maps, maintains engineering records designs, prepares technical illustrations including charts, diagrams, sketches, layout designs, and graphic illustrations, provides to the public engineering-related information, reviews plans, assists Civil Engineers with construction surveys, and investigates engineering related issues. North City Law is looking for a legal assistant. Apply to join our growing law firm. Conveniently located in Shoreline, you can join a two attorney team serving King and Snohomish Counties with civil litigation, probate, and estate planning legal services. Benefits include up to three weeks of paid time off (PTO) and the potential to grow the position into a full-time job. Send your resume by email. No calls. North City Law employs legal assistants to facilitate the Firm’s attorneys in providing legal services to clients. A few simple lifestyle changes can make a big difference in your heart health in terms of blood pressure, cholesterol and stress levels. 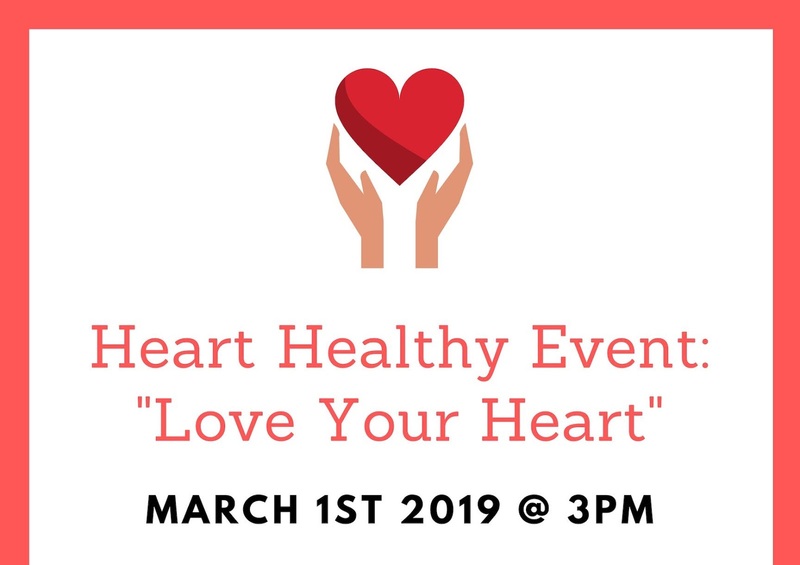 Our providers and health coaches will share tips on mindful eating, a meal demonstration, stroke/heart attack prevention tips and a fitness demo. Includes a light snack and beverages. Feel free to bring a friend. Iora Primary Care serves senior citizens. 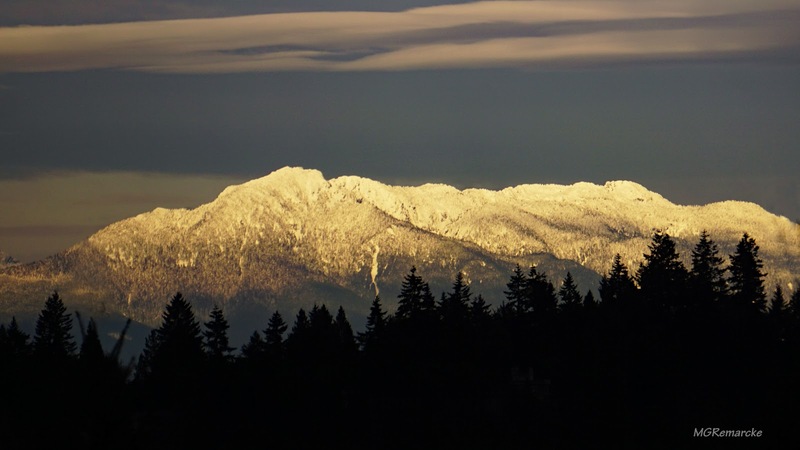 As required by RCW 42.30, the Open Public Meetings Act, you are hereby notified that the Shoreline City Council will hold its Annual Strategic Planning Workshop on Friday, March 1 and Saturday, March 2, 2019. For more information, please see the meeting agenda. When I challenged readers to identify the subject of the photo of fractal forms by Frank Kleyn, I was really hoping it was more of a challenge than it turned out to be. 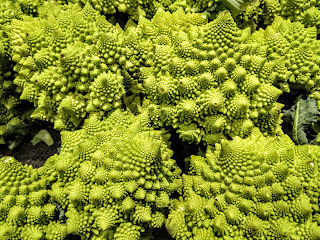 Where are the suggestions of sea life, alien life forms, details from psychedelic art? Instead everyone either got it spot on or came really, really close. Only a couple of people have actually eaten it. One person loved it and the others were less enthusiastic. Wednesday, February 27, at 6pm, there will be a telephone town hall with your elected representatives from the 32nd legislative district. Reps. Cindy Ryu and Lauren Davis will join Sen. Jesse Salomon in hosting this town hall. 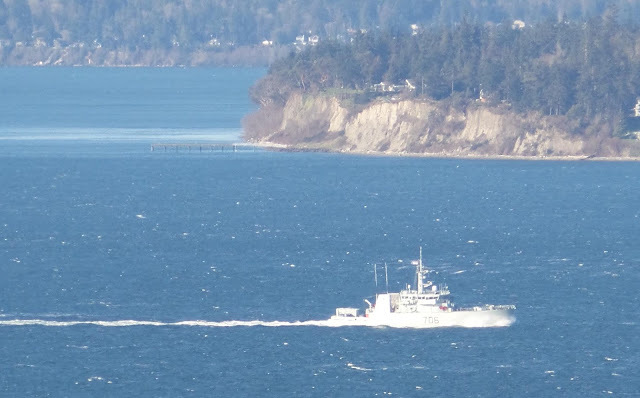 Three Kingston-Class Coastal Defense Vessels from Canada came by Monday morning to do manoeuvers in the Sound off the Shoreline coast. HMCS Yellowknife led the way followed by HMCS Edmonton and HMCS Nanaimo. HMCS Yellowknife is a Kingston-class coastal defense vessel that has served in the Canadian Forces since 1998. Yellowknife is the seventh ship of her class. She is the first vessel to use the designation Yellowknife in the Royal Canadian Navy. The coastal defense vessel is assigned to Maritime Forces Pacific and is homeported at CFB Esquimalt. 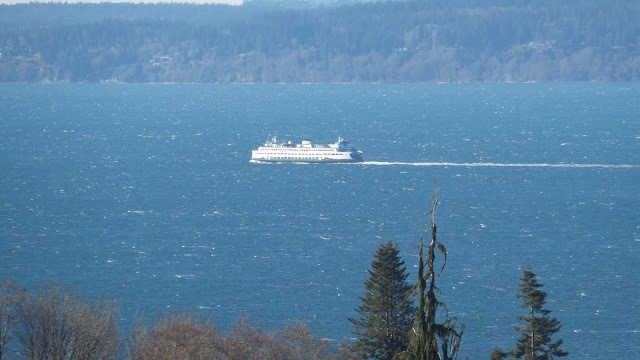 Looks like someone forgot to tell the Washington State Ferry system because the Walla Walla was headed straight at the three Canadians. Following maritime protocol, the Walla Walla yielded. The Walla Walla turned south and headed for Seattle. 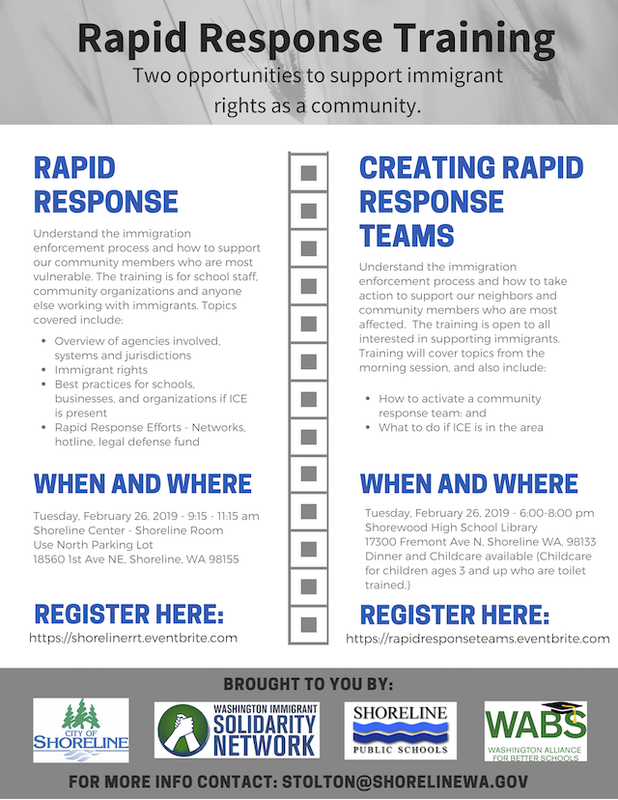 The City of Shoreline, Shoreline Public Schools, Washington Alliance for Better Schools, and the Washington Immigrant Solidarity Network are sponsoring two events on Tuesday to support immigrant families in our community. 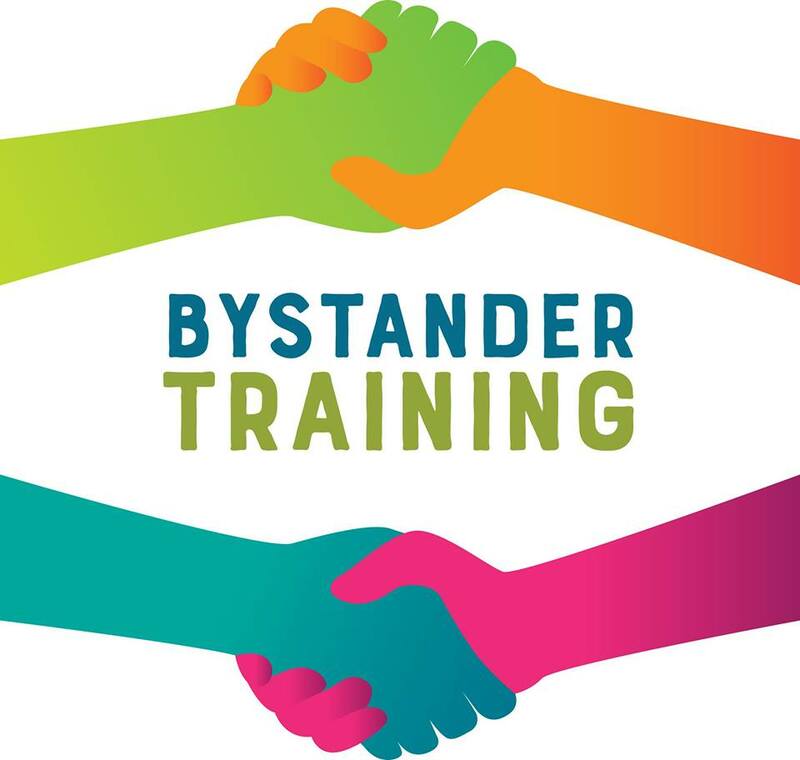 The training is aimed at school staff, community organizations, and anyone else working with immigrants. Rapid Response is an information session on Tuesday morning at the Shoreline Center. Registration is closed for the event. 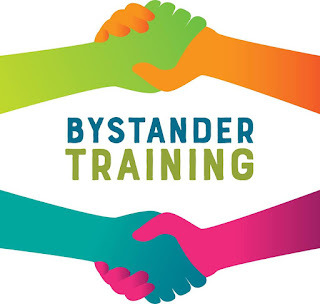 Creating Rapid Response Teams - this session is in the evening from 6 to 8pm in the Shorewood High School Library 17300 Fremont Ave N, Shoreline 98133. 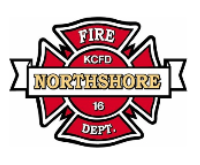 On February 12, 2019 the Northshore Fire Department asked its citizens for approval to continue the use of the fire benefit charge method of funding emergency services. The voters have once again shown overwhelming support for their fire department by renewing the benefit charge with 90.6% of those voting in favor of the measure. The Northshore Fire Department service area includes the Cities of Lake Forest Park and Kenmore. The benefit charge provides a stable funding source used to protect citizens and property within the jurisdiction. The original benefit charge was first authorized in 1990 when the citizens voted to approve the use of the benefit charge method of funding. Voters have consistently reauthorized its use in 1995, 2001, 2007, 2013 and now in 2019. On behalf of the entire organization, I would like to thank you for your continued support. It is an absolute honor to serve you. This Friday, March 1, 1:30-3:30 the featured movie is Gaslight with Ingrid Bergman, Charles Boyer and Joseph Cotton. This is a Drama/Suspense film, directed by George Cukor, starring Ingrid Bergman in this classic thriller as a devoted bride whose groom is trying to make her insane as part of his plot to murder her. Charles Boyer is the new husband who tries drive his wife insane. Joseph Cotton will ride in to save the day! The film was made in 1944 and runs for 1 hour 44 minutes. 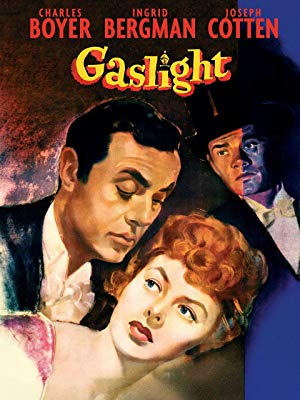 Fun fact: The movie is the origin of the term "gaslighting." The Senior Center is delighted to partner with Scarecrow Video in presenting a wide variety of classic movies on the first Friday of each month. Scarecrow volunteers/staff are present at each showing and offer fun facts and insights for the films they bring. The Senior Center is located in the southernmost building of the Shoreline Campus:18560 1st Ave NE, 206-365-1536. We welcome all vintage movie buffs! It is not necessary to be a member of the Senior Center. Patrons are asked to put a couple of dollars in the jar. Before the construction crews come, take advantage of the Sound Transit Open House Tuesday evening to find out what's going to happen on our section of the Lynnwood Link. 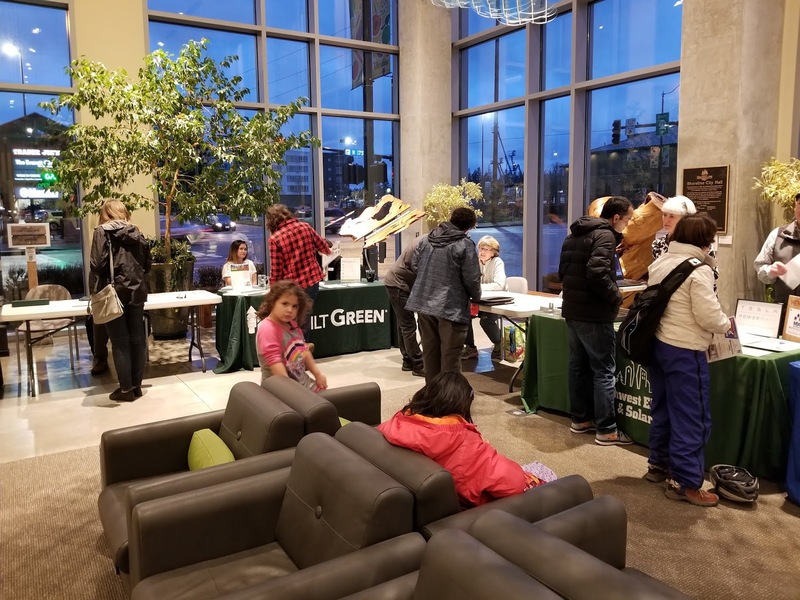 Sound Transit takes over the entire commons area at Shorewood to set up stations for different topics. Knowledgeable staff will be on hand to answer your questions. Construction - and demolition - will be starting very soon and quite possibly in several locations at once. If you live in or travel through the Rezones, you'll want to know what's to come. The open house is today, Tuesday, February 26, 2019, 6 to 8pm. There will be a short presentation at 6:15pm in the theatre. Before and after that you are free to check out the displays. Shorewood High School, 17300 Fremont Ave N, Shoreline 98133. The Third Place Commons Annual Fundraising Breakfast is just over a week away on Thursday, March 7th. And that means this is your last chance to get your tickets to this always fun and popular community event. Each year the breakfast features a lively, fast-paced auction with a little something for everyone. Fabulous dining experiences await foodies in the crowd during the Restaurant Frenzy portion of the event, including Jep’s Chef House, Prime Steak, the Seaplane Kitchen and Bar, and The Guest House, among other favorites. More the artsy, literary type? Readers will be duking it out for a coveted gift card to Third Place Books. 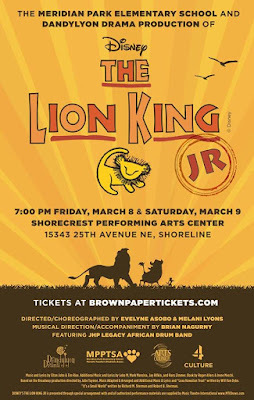 Meanwhile, theatre packages with tickets to 5th Avenue Theatre, Seattle Repertory Theatre, and Village Theatre will be up for grabs for the theatre lovers. 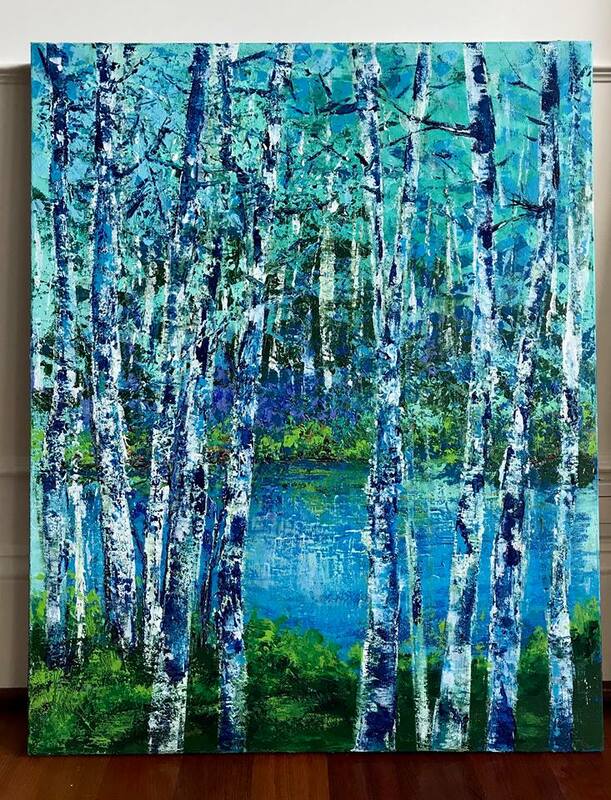 If visual arts are your thing, you’ll want to throw your hat in the ring for a chance at a gift certificate from the Shoreline - Lake Forest Park Arts Council’s Gallery at Town Center. And art lovers are going to go gaga over two gorgeous paintings by artist Meenakshi Sinha, Forest Secrets (1) and its smaller companion piece, Forest Secrets (2). If you love entertaining, you’ll want to take your next event up a notch by bidding on a live, two-hour performance by The Park Rangers Jazz Trio. Or maybe get both the jazz trio and the garden bundle, then plan a fabulous garden party for the summer! Need a break from it all? How about six months of spa services from A Better Day Salon? Or take a fly fishing course from The Avid Angler to discover the most Zen of outdoor pastimes. In addition to the auction, guest of honor Anne Stadler, a lifelong activist for peace and one of the founders of Third Place Commons, will be presented with the Friends of the Community Award. Of course, the big day will also feature live music, a delicious breakfast from Honey Bear Bakery, and a great speaker in Mónica Guzmán, founder of The Evergrey and former writer/columnist for The Seattle Times, GeekWire, and The Daily Beast. Third Place Commons is your community nonprofit where real community is fostered in real space through 900+ free events each year and through the Lake Forest Park Farmers Market. So don’t miss your chance get your tickets now to show your support for this vital organization! 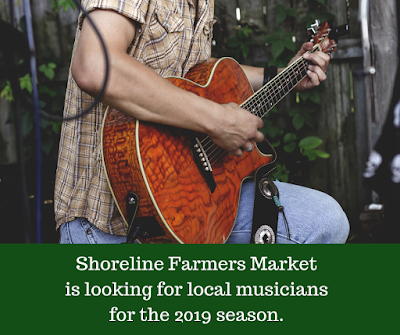 Join the Shoreline Farmers Market this season to support our growing market and entertain your community! Registration is now open and accepting family-friendly musical performances. Thanks to our friends at Lynnwood Today for staying on top of this story. The flight path from Paine Field goes over Lake Forest Park and east Shoreline. The Federal Aviation Commission has issued its long-awaited approval, clearing the way for commercial flights from Everett’s Paine Field to begin next month. The finding of no significant impact removes the final barrier and gives the green light to the March advent of passenger air service from the new terminal. “We are pleased that the FAA has completed their extensive and thorough review and look forward welcoming customers beginning on March 4,” said Brett Smith, CEO of Propeller Airports, which built and manages the new Paine Field passenger terminal. 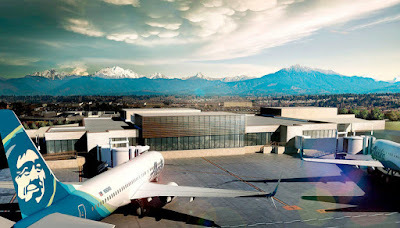 Flights will initially be offered by two carriers, Alaska and United, which will operate a combined total of 24 daily departures from Paine. Alaska plans to begin service on Monday, March 4, while United flights will begin on March 31. Alaska will offer service to Orange County, San Francisco, Las Vegas, San Diego, Los Angeles, Portland, and San Jose. United will serve Denver and San Francisco. See schedules for Alaska HERE and for United HERE. Three authors and a book club at Third Place Books this last week of the month. The bookstore is on the upper level of Town Center, Lake Forest Park, intersection Bothell and Ballinger Way NE. What makes us who we are? What combination of memory, history, biology, experience, and that ineffable thing called the soul defines us? 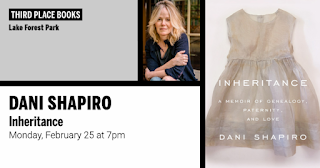 In the spring of 2016, through a genealogy website to which she had whimsically submitted her DNA for analysis, Dani Shapiro received the stunning news that her father was not her biological father. She woke up one morning and her entire history--the life she had lived--crumbled beneath her. Inheritance is a book about secrets--secrets within families, kept out of shame or self-protectiveness; secrets we keep from one another in the name of love. A reassuring and thoroughly researched guide to maintaining a high quality of life--from resilient old age to the first inklings of a serious illness to the final breath--by the New York Times bestselling author of Knocking on Heaven's Door. 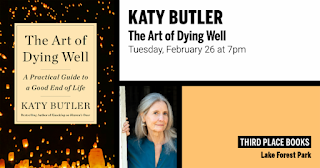 The Art of Dying Well is about living as well as possible for as long as possible and adapting successfully to change. 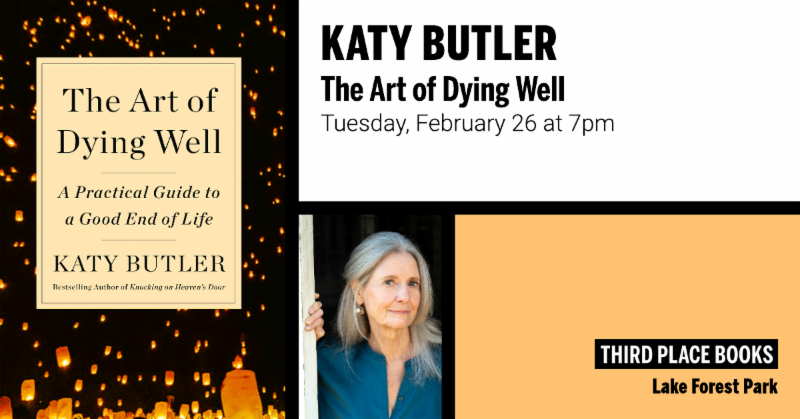 Packed with extraordinarily helpful insights and inspiring true stories, award-winning journalist and prominent end-of-life speaker Katy Butler shows how to thrive in later life (even when coping with a chronic medical condition), how to get the best from our health system, and how to make your own "good death" more likely. This handbook of step by step preparations--practical, communal, physical, and sometimes spiritual--will help you make the most of your remaining time, be it decades, years, or months. 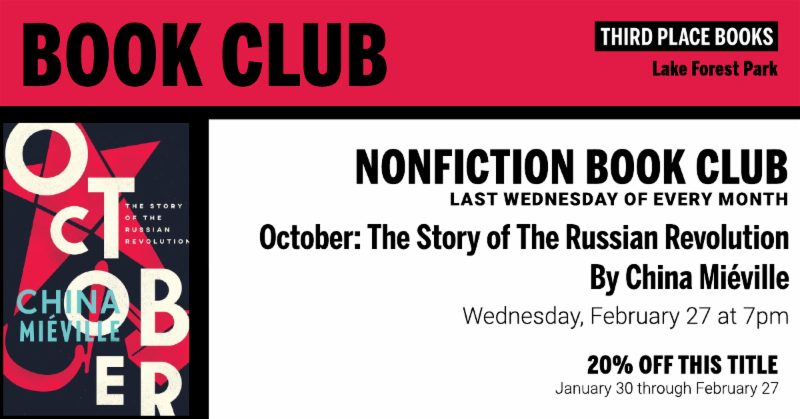 Join Bookseller Stephen to discuss October, the writer China Mieville’s new history of the Russian Revolution. Get 20% off the selected title each month. Our next meeting will be March 27, when we will discuss Sick by Porochista Khakpour with bookseller Sarah. THE NONFICTION BOOK CLUB MEETS THE LAST WEDNESDAY OF EVERY MONTH, AND IS HOSTED BY A DIFFERENT BOOKSELLER EACH MONTH. AUTHORS DO NOT ATTEND. This February storm brought out the snow shovels, but it also brought out the “wood rats.” One of them lives in Lake Forest Park. On a walk to the LFP Third Place Commons, Holden Hawkey spotted a large downed tree and then discovered it was an old oak tree. He knew that oak is not very common in this area. 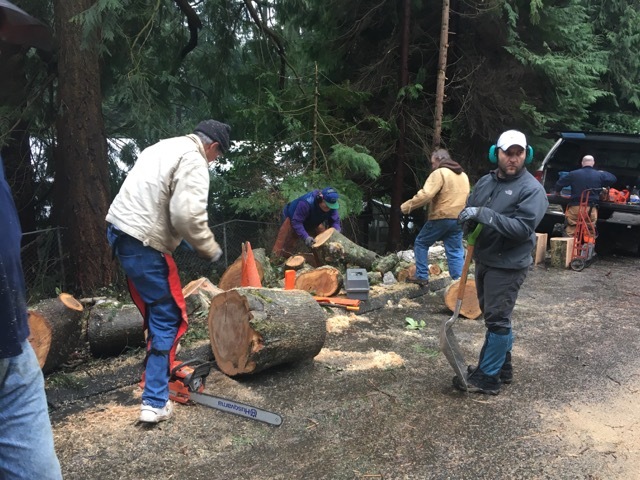 The "wood rats" as they call themselves, are from the Seattle Woodturners chapter who discover fallen, and many times remarkable, hardwood trees. They turn these trees into stunning pieces of art such as bowls, candlesticks, and other artifacts. After approval from property owner Sarah, the Seattle Woodturners were there one Saturday morning to saw away. 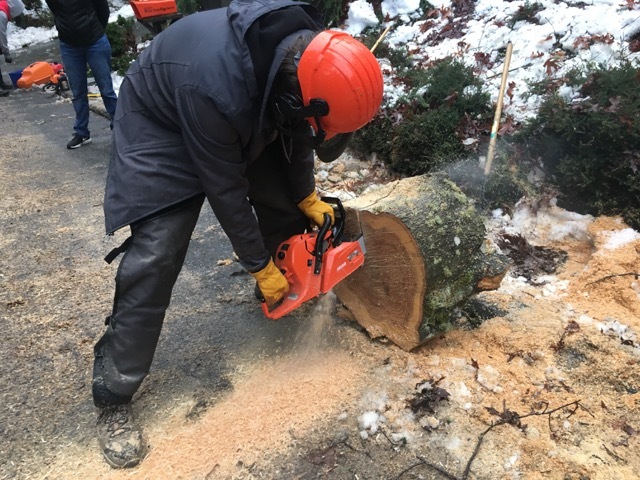 While it’s very disheartening to lose a tree – but when the woodturners are interested in that tree - it becomes a prized beauty, and so it will live on in a repurposed way. Holden is a young adult, a wood rat and a beginner woodturner. He looks like he can sure use a chainsaw! 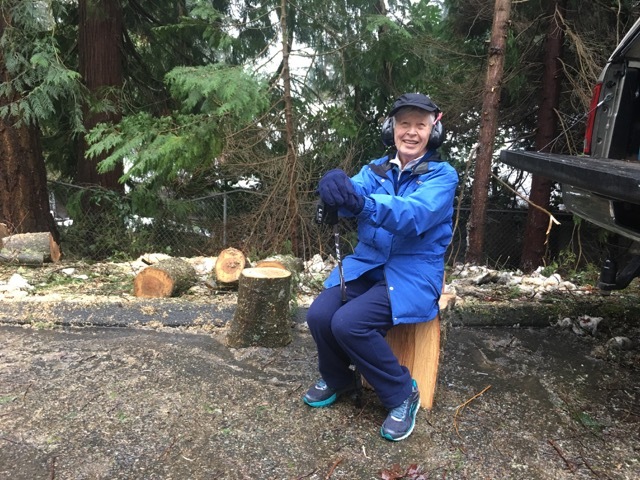 Seattle Woodturners have to be selective in what trees they accept, as not all wood can be used to turn and sometimes they have enough wood for a while, especially right after a storm, so Sarah was glad that her oak tree made the cut. One of the woodturners will make Sarah a bowl as a keepsake of her oak tree and a thank you for the gift of the wood. Sarah has lived in LFP since 1958, and she planted that oak tree in 1977. Sarah says, “I was delighted to see the group collect the wood; they did a great job. I hated the thought it might just turn into firewood and add to our current load of polluted air." Almost all done before each Seattle Woodturner member lines up in an orderly and good-natured fashion to select their oak piece in return for their diligent work. But why are oak trees not abundant in our area? In our region, many oak trees get overgrown by Douglas Firs. Under these conditions, the oaks can’t spread their big branches, and they don’t get enough sunlight. They can become susceptible to disease and insects and can weaken and topple in stormy weather. Thus, the oak tree is at survival risk in the Pacific Northwest. 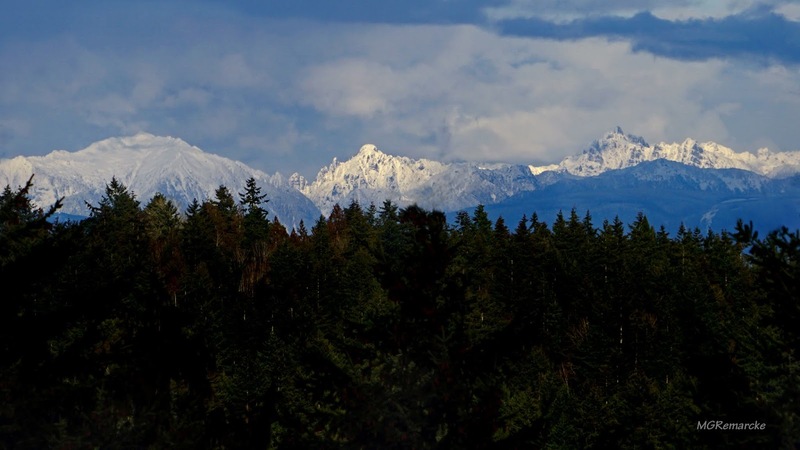 “In the Pacific Northwest, we’ve lost about 95 percent of the oak and prairie habitat that existed in the early to mid-1800’s,” says Connie Harrington, a research forester with the Pacific Northwest (PNW) Research Station in Olympia, Washington. Only one out of every 10,000 acorns receives the proper conditions to germinate and grow. 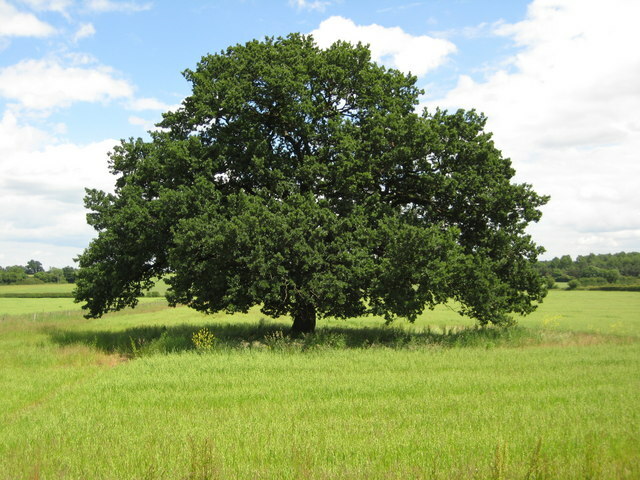 Oak trees can live up to 200 years or more, and mature trees have the capacity of absorbing more than 50 gallons of water in one day. They are renowned for their hardwood strength. If you’re interested in woodturning, stop by one of the Seattle Woodturners monthly meetings. They welcome all levels and all ages, and are passionate about introducing new students to this art form, and to the exceptional craft of being a woodrat! There is also information about how to donate a special fallen tree or other wood. Parkwood Elementary School at 155th and Meridian was funded by a school construction bond in February 2017 that passed with 73% of the vote. The bond included four schools. Besides Parkwood, the Edwin Pratt Early Learning Center is complete and in operation. Einstein Middle School is under construction and Kellogg Middle School construction will start later in the year. The architect for the Parkwood project is DLR Group and the construction company is Allied Construction Associates. The total estimated project cost is $46,909,000 with a scheduled completion date of August 2019.